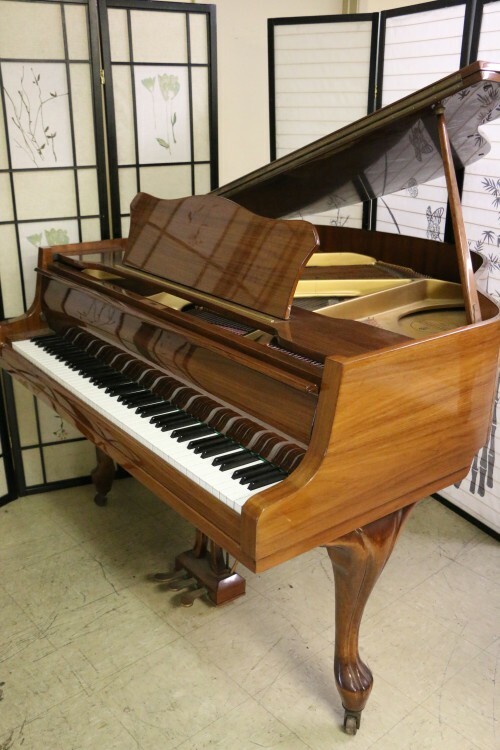 #804: Art Case Zimmermann Baby Grand Walnut $3,500. 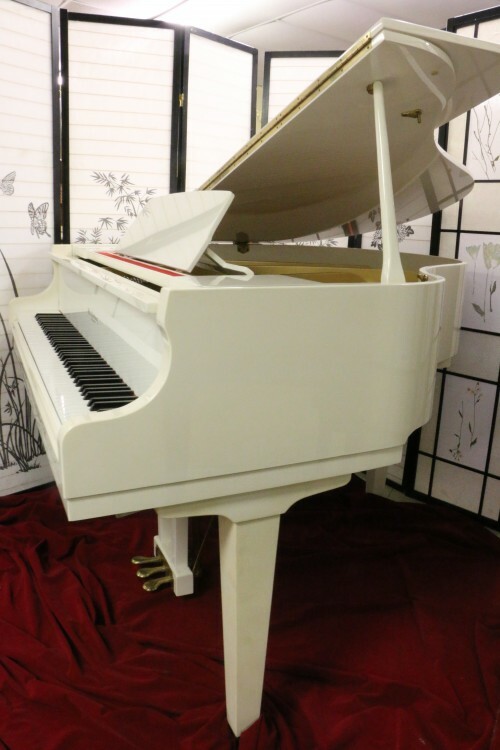 White Gloss Otto Altenburg 4’8″ LePetite Baby Grand $4500. 1988 Excellent! #862: White Gloss Otto Altenburg 4’8″ LePetite Baby Grand $4500. 1988 Excellent! 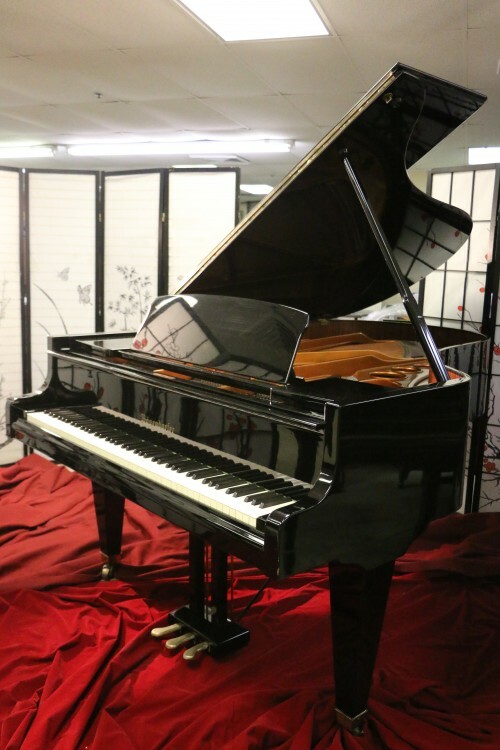 Bosendorfer Grand Piano Model 200 6’7″ Ebony 1976 $49,000. #863: Bosendorfer Grand Piano Model 200 6’7″ Ebony 1976 $49,000. 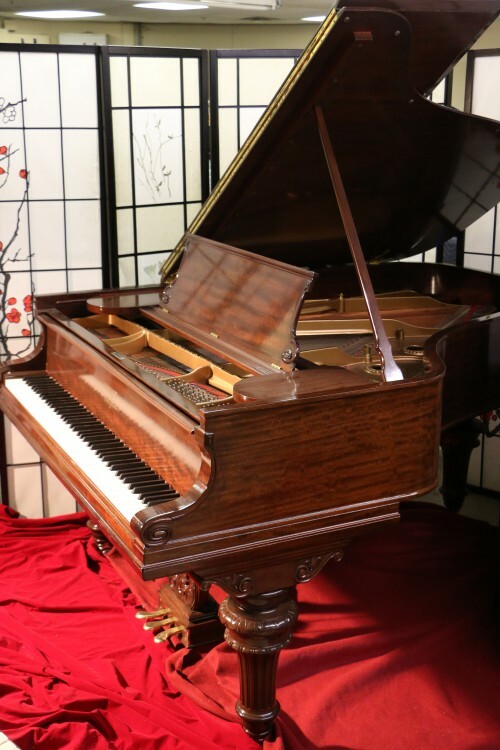 #854: Art Case Steinway Grand Piano Model A 6’1″ Exotic Flame Mahogany Totally Rebuilt $27,500. 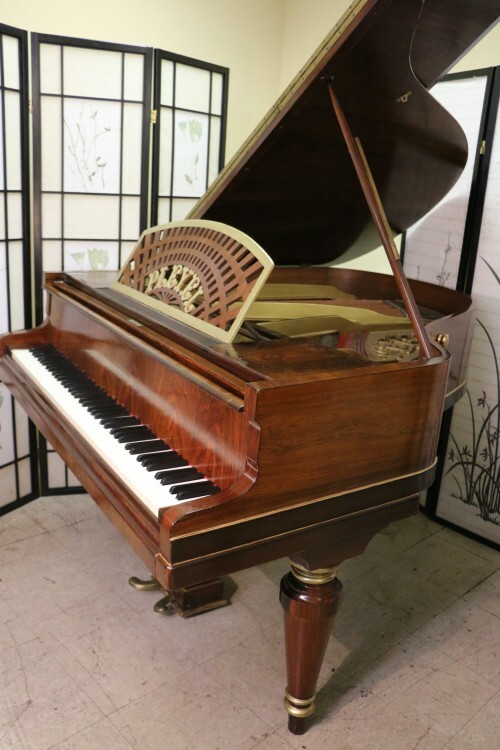 Gorgeous Art Case Steinway Grand Piano Model A 6’1″ Exotic Flame Mahogany with Tulip Style Decorative Legs, decorative pedal lyre and music desk. Originally made in 1906 but recently had a total high end rebuild including new Alaska Sitka Spruce soundboard, new pin block, pins, strings, dampers, new Steinway hammers and action parts. New A’s go for $85,000. this one less then 1/3 the price. Beautiful sublime, rich, full spectrum tone. A collectors item. More photos and video to follow. Warranty. Nationwide and worldwide shipping. Call for price quotes. 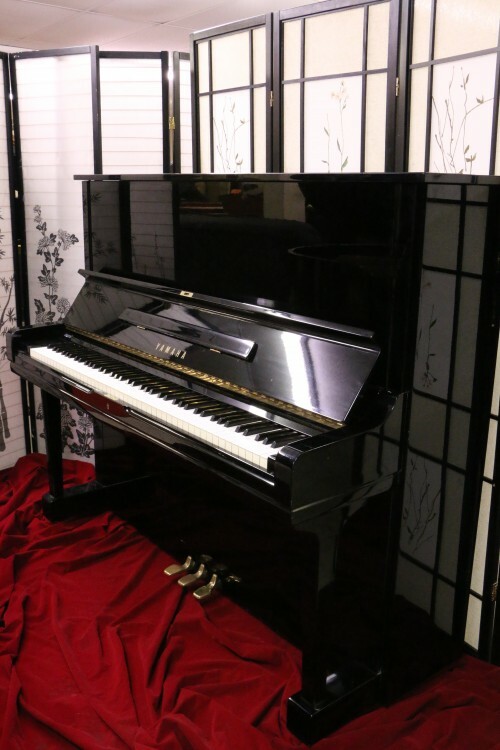 #851: Yamaha U3 Ebony Gloss, Pristine, Low Mileage $4700. 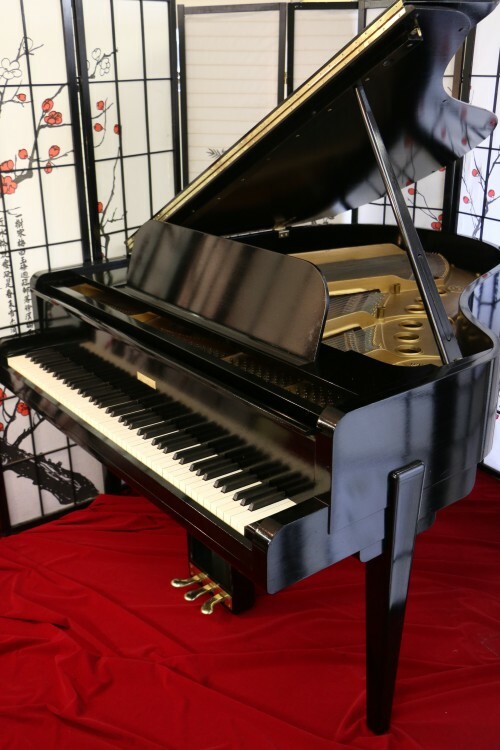 Concert Grand Otto Altenburg 7’6″ Ebony Gloss 1986 “A Big Piano” $5,950. Add a Player System! #835: (HOLIDAY SPECIAL LOW PRICE) Concert Grand Otto Altenburg 7’6″ Ebony Gloss 1986 “A Big Piano” $5,950. Add a Player System! 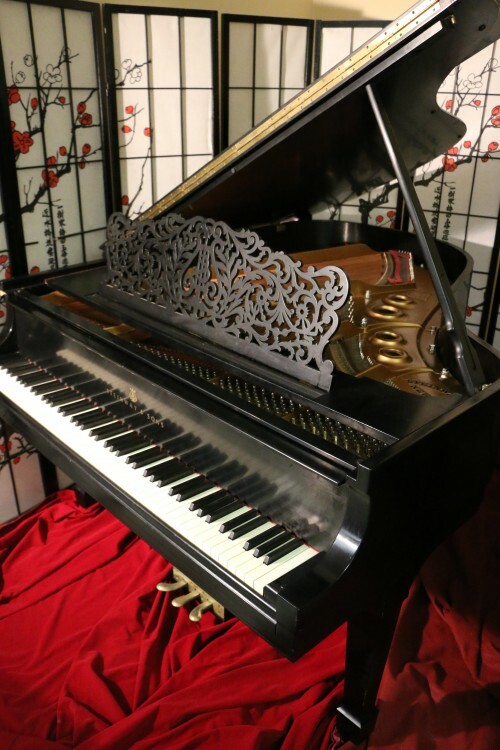 Rare Art Deco Steinway M, 5’7″ semi-gloss ebony. 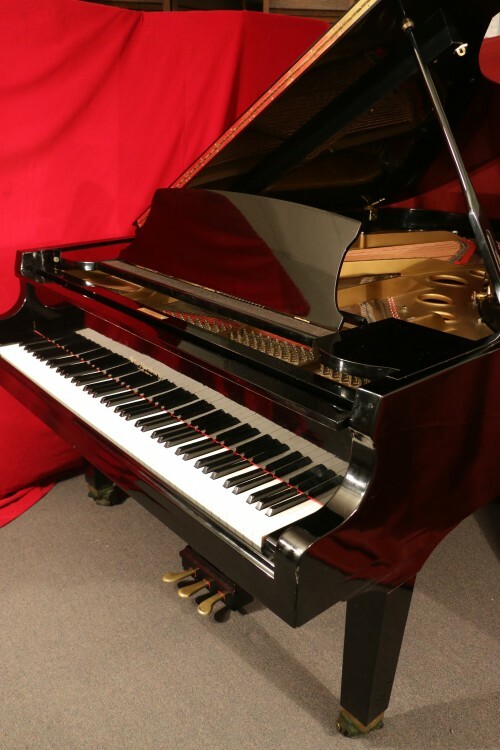 Sleek & elegant, Steinway calls it their “Modern or Contemporary Style” grand piano from the 1940’s art deco era. 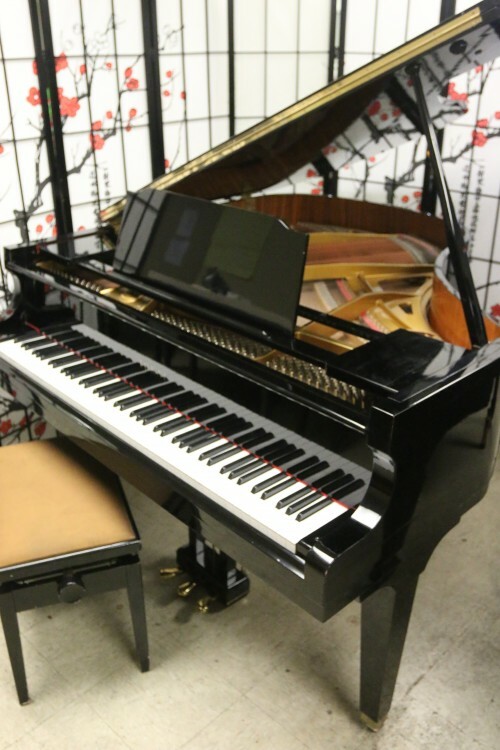 The original design was created for Steinway in the late 1930s by renowned industrial designer Walter Dorwin Teague. This one was made in 1944 and refurbished in October 2015. We just put on new Mapes Bass Strings and new Steinway hammers and shanks were also put on recently. Very few of these were made. This one is in excellent condition inside and out. All Steinway parts. As with so many Art Case pianos they often serve as a furniture piece and don’t get a lot of playing time. Thus we have a beautiful work of art here with a great instrument and very little playing mileage. It has the classic Steinway M sublime tone and very smooth and responsive action. It also has a beautiful set of ivory keys in excellent condition. As with all of our pianos our technicians pulled out the action and went over each of the 88 notes and regulated it to concert stage performance level. This piano will make a great statement in your living room, or perhaps for a collector of fine art and musical intruments. It could easily serve as a cool, jazzy performance space piano. It would also look great in a hotel lobby or elegant restaurant. A jazz club might be a great home for this very cool, hip piano. Comes with a warranty. Questions? Call Sonny at 631 475-8046.